The Toy Story gang are ready to play! Grab your stickers and join in! Are you ready to relive the excitement of the movie with Woody, Buzz and the rest of the toybox friends? 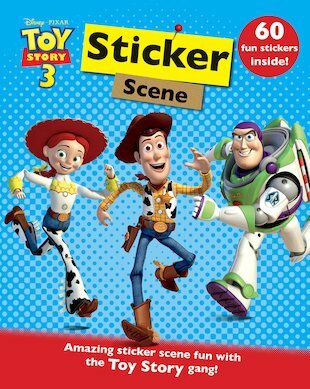 Just add your toytastic stickers into each colourful scene to recreate all the drama of the film. What is happening to the toys at Sunnyside Daycare? Will Woody be reunited with his friends? And will the toys ever find their true owner, Andy, again? Includes over 60 stickers.